Now you can get AC/DC in red or white. 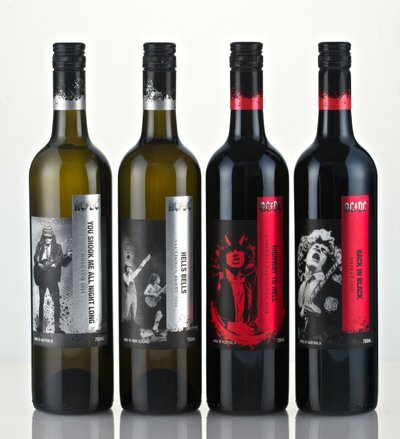 Warburn Estate, one of Australia's top wineries, is releasing a new AC/DC wine collection this week. The collection will be available through Woolworth's, Dan Murphy, and BWS starting August 18. A number of rock bands have launched their own wine labels or wine collections over the last few years, including members of KISS, Motorhead, Whitesnake, Queensryche, Warrant and Satyricon.